[PDF] Rethinking the Power of Maps | Free eBooks Download - EBOOKEE! 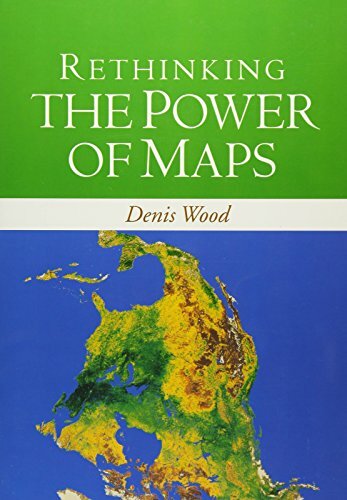 Description: A contemporary follow-up to the groundbreaking Power of Maps, this book takes a fresh look at what maps do, whose interests they serve, and how they can be used in surprising, creative, and radical ways. Denis Wood describes how cartography facilitated the rise of the modern state and how maps continue to embody and project the interests of their creators. He demystifies the hidden assumptions of mapmaking and explores the promises and limitations of diverse counter-mapping practices today. Thought-provoking illustrations include U.S. Geological Survey maps electoral and transportation maps and numerous examples of critical cartography, participatory GIS, and map art. 2018-01-09[PDF] Rethinking the Union of Europe Post-Crisis: Has Integration Gone Too Far? No comments for "[PDF] Rethinking the Power of Maps".